I know that Christmas is fast approaching and so much at home in the UK will be happening in preparation for this festival. It does seem strange to be warm still, sitting on my balcony in a T-shirt in December and not rushing out for panic shopping sessions. Somehow I find myself missing it! I am sure that every supermarket and florist in Britain will be selling poinsettia plants to decorate homes at this time of year. 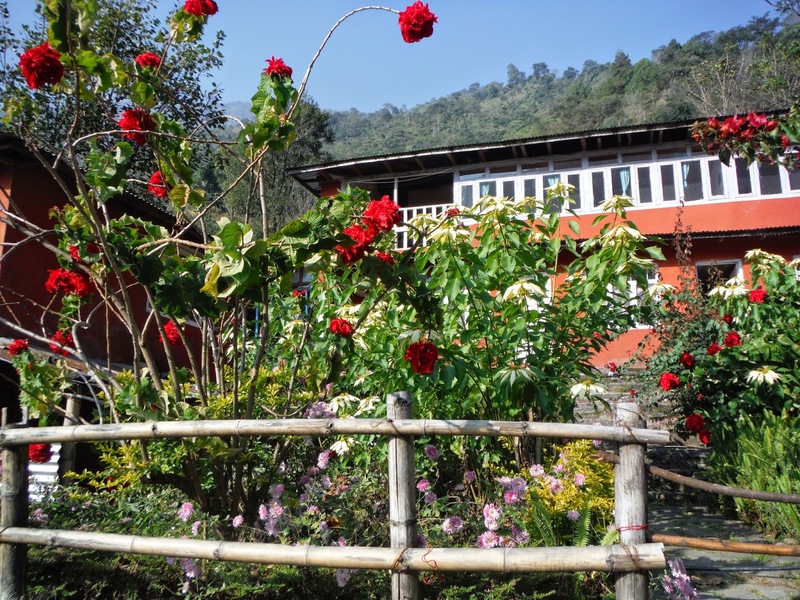 In Nepal at this time, these plants are growing everywhere, but they don’t look like the ones I used to buy. Here they often grow as big as trees and grow mostly in gardens! However they are all in flower now in December, looking blowsy and brightly coloured, much better than the ones I used to buy in Britain. 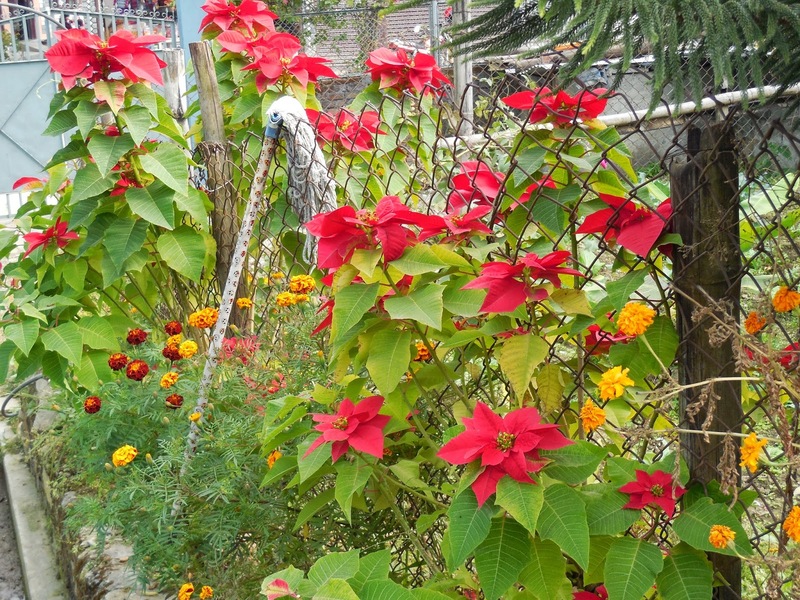 The flowers are stunning, adding a punch of colour all around the houses. 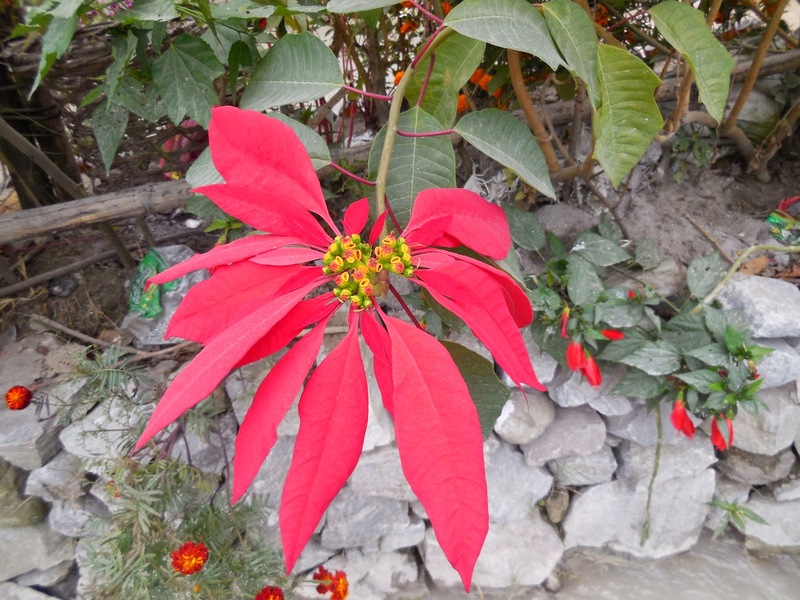 In Nepal they are to be found in both scarlet red and yellow, with huge dinner-plate sized flowers surrounding a yellow centre. There are even plants with double flowers, pom-poms of petals decorating the whole tree. The one behind my flat is like that and makes me smile as I pass by. 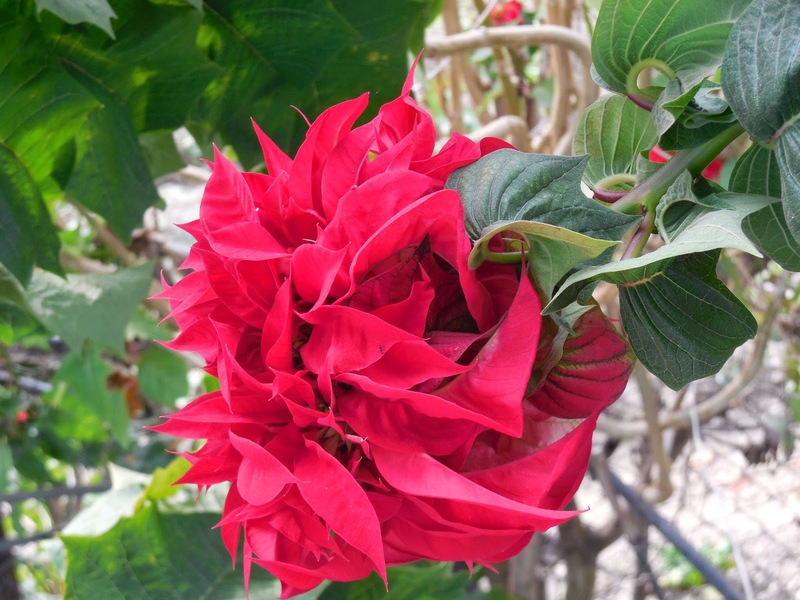 This year, while so far from home, these beautiful poinsettias will be my reminder of Christmas celebrations. Happy Christmas to all my family, friends and acquaintances who read my blog.